Now that the much-lamented government shutdown is over (for the time being), some of our attention can turn to our much abused national parks and monuments. It was a crime that they were left exposed to abuse, and it is a shame that some people saw the closure of the government as a ticket to vandalize our precious places. And they are precious beyond words. 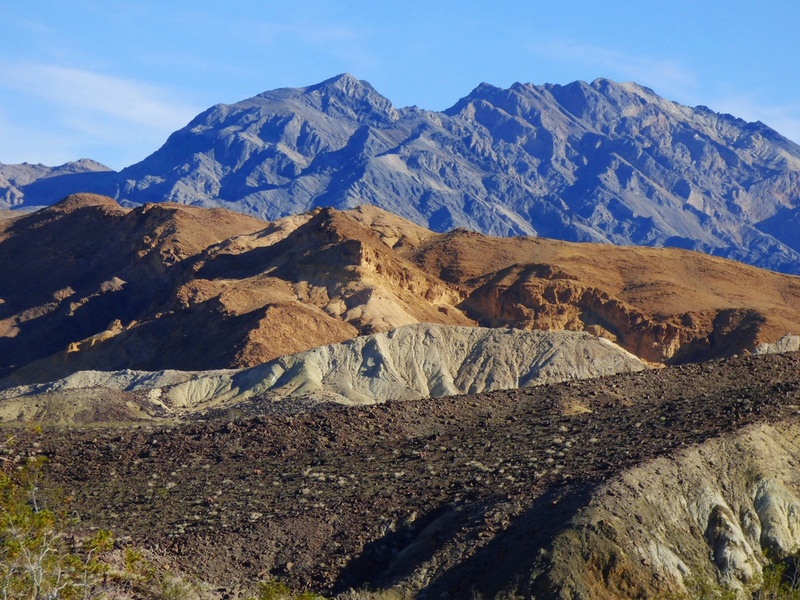 Death Valley National Park is the largest park in the lower 48 states, and it preserves upwards of 2 billion years of earth history. The story in the rocks is more complete than any other park in the country, including even the Grand Canyon. The Paleozoic sediments alone are 20,000 feet thick, and the late Proterozoic rocks add 15,000 feet more. There are metamorphic rocks that are among the oldest in the American west, and volcanic rocks that are among the youngest (perhaps only a few hundred years). The landscape is spectacular as well. The floor of Death Valley is the lowest and driest place in North America, and the hottest place in the world. Elevations range from -286 feet to more than 11,000 feet. 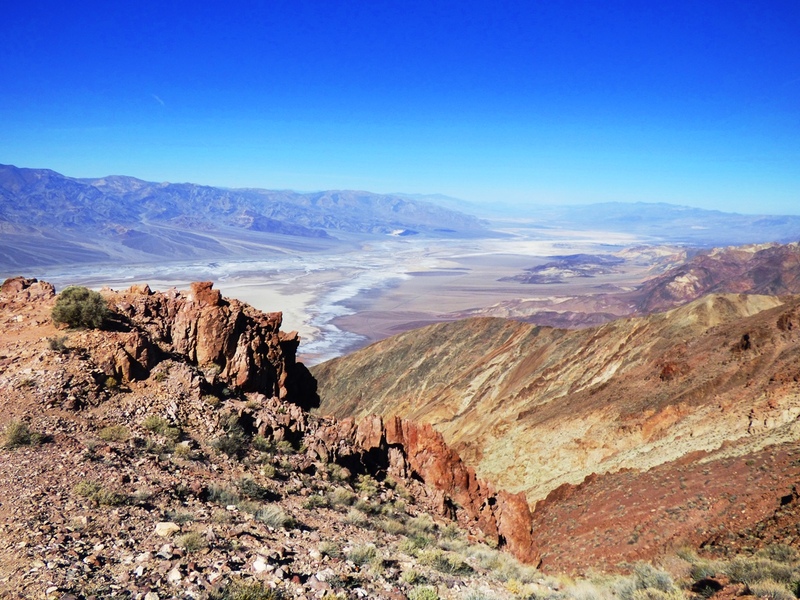 There are times when one can stand in the broiling sun at Badwater and look at snowbanks on Telescope Peak. There are faults and badlands, alluvial fans and barren salt flats. There are hundreds of plant and animal species, including four species of fish (seriously). Does this sound intriguing, a kind of place that you might like to visit? 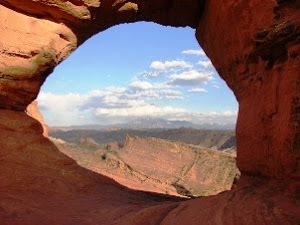 You could be there in a few weeks, and learn the details of the geologic story of this unique and precious place. I'll be teaching a 2-unit course on the geology Death Valley through Modesto Junior College on Feb. 14-18. We'll be camping out and spending our days hiking and exploring this fascinating place. If this all sounds interesting, join us! If you live in the Modesto area, we'll have an informational meeting on Thursday, January 31 at 5:30 PM in Science Community Center Room 326. 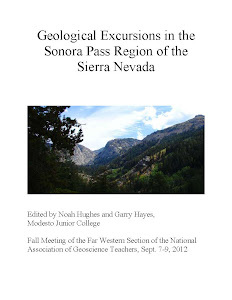 If you can't make the meeting, all the trip information is available at the class website at: http://hayesg.faculty.mjc.edu/Death_Valley_Field_Studies.html. Information on registration for classes at Modesto Junior College can be found at https://www.mjc.edu/. A Surprise Today on the Tuolumne River: A Bobcat!